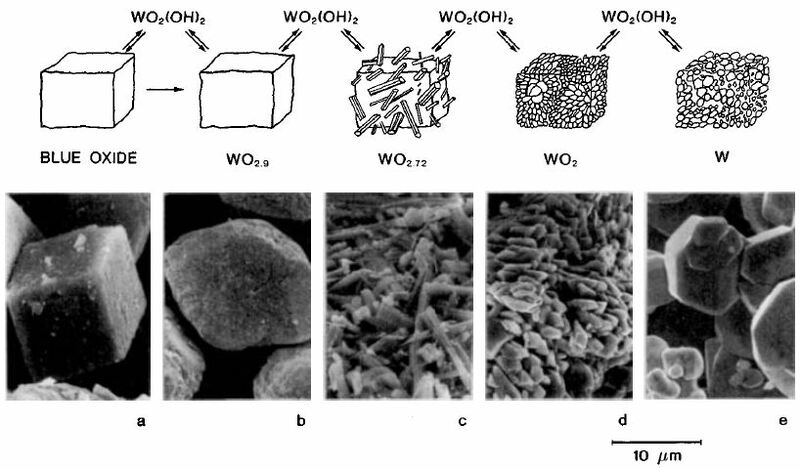 Morphological changes associated with a hydrogen reduction of tungsten oxides path under industrial conditions. Src: Wolfram Bergbau and Huttenges.m.b.H. Hardmetal production isinvestigated for conversion of pulverised tungsten oxide to metallic tungsten in a packed bed. Reduction of tungsten oxide to tungsten in a hydrogen atmosphere is described by a reaction scheme, for which temperature and reaction progress is described by the Discrete Particle Method (DPM). Hydrogen as a gaseous phase is introduced as a reducing agent that streams over a packed bed of tungsten oxide particles in a push-type furnace. The flow over and penetration of hydrogen into the bed of tungsten particles is represented by advanced two-phase CFD-tools for a porous media. The study will provide a deeper insight into the process, because particle temperatures and interaction of particles with the fluid are inaccessible in a packed bed during experiments. 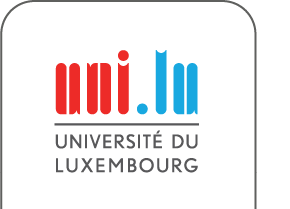 The research is funded by the Font Nationale de la Recherche Luxembourg (FNR) and through resources of the University of Luxembourg.